Not all pickups are made equal. Some emphasize the whole rough-and-rugged thing, coming equipped with 4x4, a big engine, and all the off-road, jungle-tackling capability you can imagine. Meanwhile, others are perfectly content with staying in jungles of the concrete kind, and moving people and their cargo from one city location to the next. The latter is where the Ford Ranger FX4 fares best. Released as a new variant last year by Ford Philippines, it's actually available in an array of colors, but it's this Jet Black one that stands out most from the pack. We recently put the automatic version to the test on Manila's chaotic streets and provincial back roads to see if it lives up to the hype. Two words: matte black. Right away, you can tell that Ford sought to suit the FX4's design to an urban setting. 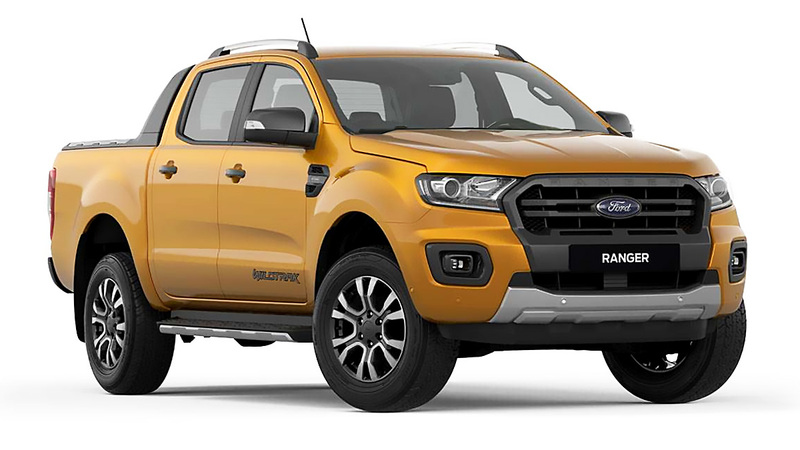 Up front and in the rear you get sleek decals (including the Ranger name in negative space), plus a new mesh grille and blacked-out foglight bezels. The 18in alloys underneath are also painted black. On the bed, you get a big and bold roll bar. On the sides are city-friendly flat stepboards, a slight change from the tubular ones on the Wildtrak. Overall, the design exudes the typical pickup machismo with a modern twist, but without going overboard. It's like a Batmobile with a cargo bed. We'd look at this over the awful Batman V Superman any day. The dark theme continues once you step inside. The dashboard and panels are consistently dark, save for silver accents on the knobs and A/C vents. The leather seats are likewise black. Noise cancellation inside is above average, and is complemented by a sound system that reverberates well throughout the cabin. Worth noting is the single-zone manual A/C, which reaches Nissan levels of coldness even on the warmest setting. Powering the FX4 is the same 2.2-liter turbodiesel found on lower-end Rangers, which produces 158hp and 385Nm. While it lacks the earth-shattering grunt of the 3.2-liter, the smaller mill is more than capable of ferrying a full load of passengers. Even with cargo in the rear, the FX4 can reach highways speeds or make uphill climbs with little trouble—as long as you time your acceleration just right to engage the lower gears. City driving on this test netted roughly 6-7km/L. Because the FX4 is only powered via two wheels instead of four, and the fact that it has an electric power steering rack, maneuvering it is a breeze. You can move this heavy truck around with one hand, or with just a few fingers if you're so inclined (though we wouldn't recommend it). Weaving in and out of city traffic is easy despite its length and weight. With 237mm of ground clearance, you won't have any second thoughts about mounting any suburban curbs. Where the FX4 falters a bit is in the comfort department. The ride is jumpy with an empty bed, and the suspension only settles slightly once you load it up. 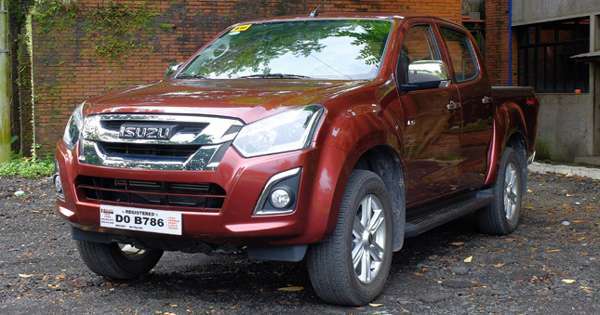 While you don't expect a perfectly plush experience from a pickup, it's a tad harsher than other vehicles in its segment. No touchscreen panel here, but you can still hook up your smartphone via Bluetooth. You can control that with the steering wheel buttons, which also contains the cruise control system. You get rain-sensing wipers, too, which adjusts speed depending on the rainfall's intensity. In the bed, you get a bedliner and convenient tie-down points. At P1,359,000 (P1,299,000 for the six-speed manual), the FX4 slots below the Wildtrak variants on the very varied Ranger lineup. For hauling cargo within paved limits, with its macho styling, light handling, and sufficient creature comforts, it presents a very attractive package. It's a pickup that allows you to focus and enjoy your drive.